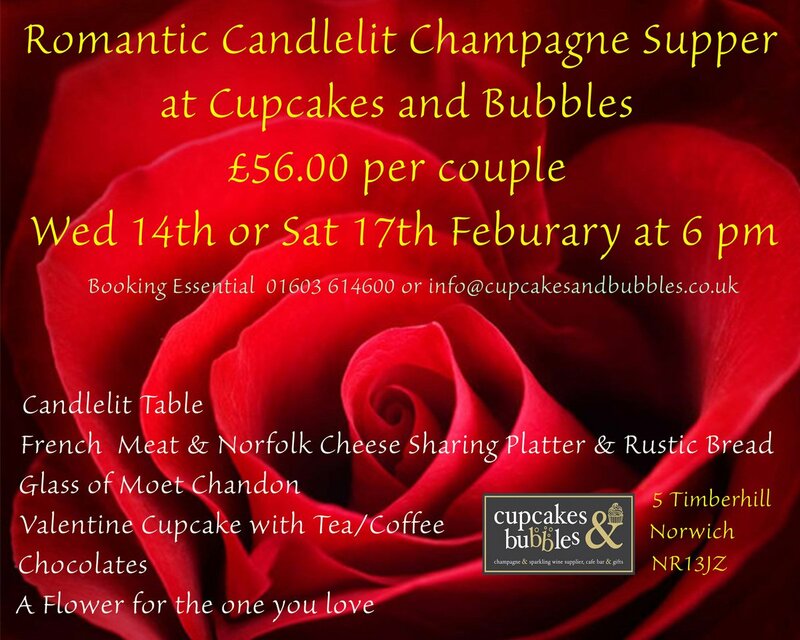 At Cupcakes and Bubbles we supply locally baked cupcakes, brownies supplied by Cupcake & Co, scones from Crusty Corner and tea supplied by Nelson & Norfolk Tea Company. To add a twist to our menu selection we have French antipasti and a great selection of Norfolk cheeses. We also have rustic breads served with oil and local vinegar- Chilli, Lavender, Apple or Basil. We also have a wide selection of French Champagnes from Moet and Chandon House that includes, Verve Cliquot, Moet and Chandon Pink & Brut as well as Dom Perigon for that special occasion and dont forget Prosecco – we have Bottega Gold and Pink from Venice in hand painted bottles and our house Vino Dei Poeti Prosecco Bottega pure indulgence. Our gift shop has a wide selection of candles, chocolates and champagne with some seasonal items and also vouchers for afternoon tea and more …..
French antipasti meat selection and selection of Norfolk cheeses. Soft baguettes and farmhouse sandwiches with a choice of fillings. Classic indulgent afternoon teas served with sandwiches, cupcake, brownies, scones with jam & clotted cream and specially selected tea or coffee. Why not upgrade with a glass or bottle of champagne or prosecco. Bank Holiday & Christmas openings please enquire.